It had not occurred to me until last night that we truly are on the cusp… of 100 ounces of Gold becoming real money. Of course it always was “real” money but very soon as the cabal loses control, it will become REAL money. Money, as in enough to not only purchase a house for your family but a REAL house. I’m talking about a real house, a McMansion house, a house that will (already has) be “puked up” by an over leveraged owner. Let’s go back 10-12 years and see where we came from. Back in the year 2000, Gold was trading in a $250-$270 trading range. A nice house back then would have cost let’s say $200,000. This would not have been a McMansion but it would have been a nice home of maybe 2,000 or 2,500 sq. ft.. Basically you would have needed about 800 ounces of Gold to purchase this house. Fast forward to today and let’s say that the market value (yes I know, some places are ridiculously higher and others lower but stay with me) is $250,000-$300,000. For arguments sake let’s say that it could be bought 175 ounces. …Do you see where I’m going with this? Now, for a little bit of speculation on my part. You can agree with me or disagree with what I’m about to write. Please keep in mind that I personally did start accumulating metals and miners back in 1998. I shipped my metals out of the country and took possession of all my certificates more than 5 years ago. I did sell my home and real estate back in late 2006/early 2007 and rented for 5 years and anyone who has read my material knows that I was one of the first back in 2007 and ’08 to openly write and question the solvency of the U.S. Treasury and the Fed. Many of these moves at the time were real “eyebrow raisers” and I have been viewed for years as a charter member of the “tin foil hat society.” All I am asking is that you give me a little slack and pre suppose that I may be correct, if not totally then partially. That said, the current laughable and public display of desperation by those running the printing presses will end and end badly. In my opinion, Gold prices will explode and go to numbers that no one has yet to express or even think of (but let’s assume that I am over bullish and wrong). Let’s assume that the latest number, $3,500 per ounce that Jim Sinclair speaks of is THE number for Gold (yes I know that he has mentioned $12,000 per ounce to back our foreign debt). If he is correct, a mere 100 ounces will be worth $350,000. 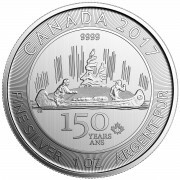 At $3,500 per ounce you could purchase a nice home (yes I know, only a shack on the west coast) and maybe not even spend 100 ounces. But this is where the thought process gets interesting. Interest rates have ONLY one way to go now and that is UP. “Up” may be an understatement when Mother Nature gets her chance to sort out this mess. Interest rates very well may absolutely explode but let’s assume that they don’t, let’s assume that they only go up 2 percentage points and that mortgage rates go from roughly 4% now to 6%. What does this mean? Put bluntly, your monthly “mortgage Dollar” will only purchase 2/3rds of what it does now. Does real estate drop another 33%? Maybe, maybe not but higher interest rates will definitely put pressure on real estate. So let’s make another assumption, let’s assume that real estate softens 25% from here and then do some math. Your 250K-300K house is now in the neighborhood of $200,000 at the same time that Jim Sinclair’s (VERY CONSERVATIVE in my opinion!) figure of $3,500 per ounce comes into play. Now you are looking at only 60 ounces to buy a decent house! But wait there’s more! I have a story to tell you about the Weimar hyperinflation experience. Once the fiat currency was replaced with a Gold backed currency, real estate dropped 30% and THEN started going down! Real estate went down because there was “no money on the street” and credit dried up to a standstill. I am sure you have already heard the story of the bellboy who saved a 1 Gold ounce “tip” that he received and bought the hotel that occupied an entire city block in the aftermath of the hyperinflation. True? Maybe, maybe not, but Gold became VERY VERY valuable in relation to not only real estate but virtually everything else you could think of. 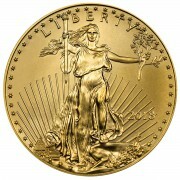 My point is this, we are on the cusp of 100 ounces of of Gold becoming very real and very valuable. Depending on location you may be able in the next couple of years to purchase a newly built (and defaulted on) McMansion of 5,000 sq. ft. with a pool and some acreage for 100 ounces or maybe even much much less! Laugh if you want to but in my opinion, a 25-30% drop in real estate from here may be quite conservative and $3,500 for Gold is VERY conservative! $3,500 is laughably low and I am sure that Mr. Sinclair is simply using that number so as not to sound like a lunatic. $12,000 Gold only covers our foreign debt (I think the real number is now closer to $20,000 since we’ve piled on debt since $12,000 was calculated). What kind of number do we need if ALL debt is included? What about if we use ALL debt, obligations, promises and guarantees? Oh yes, one more question, what price would Gold need to be if ALL central bank Gold were needed to back ALL debt and derivatives on the planet? Anyone have the answer for this one? All I am trying to do here is to help you step back and see “value”. Even if you can’t afford 100 ounces, maybe you can afford 50, or 10… or 5. 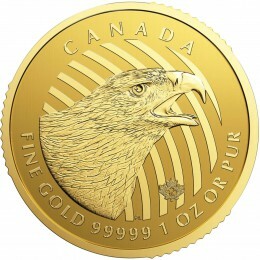 Or maybe you can only afford 100 ounces of Silver (which I personally believe will outperform Gold by at least 2 to 1). 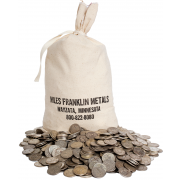 Something, anything precious metal… is better than nothing and I think that when all is said and done, a “little” will go a long LONG way! My best regards, Happy Holiday and Merry Christmas wishes to all. given your projection on Gold. How would you figure silver in the equation. Do you see a relative corresponding correlation with Silver being able to buy the same house for say 1000 ounces? I can see that as a good ballpark number. and counterfeiting of the dollar by ENDING THE FED as per Saint Paul— Nothing will change for the better. yes, but a very rocky road from here to there.